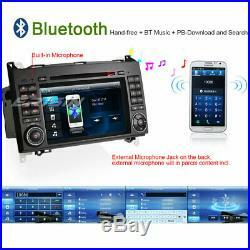 DAB+Autoradio Bluetooth USB Mercedes A/B Classe W169 Sprinter Viano Vito Crafter. New Technology + All in One + Competitive Price + High quality. This is the new All-in-One Design for Mercedes BENZ A/B Class... Cars with CanBus Decoder (it cost GBP35 in the market), built-in. Just connect with our DAB+ Box to use this function. MTK3360 800MHz CPU, 256MB RAM, support 1080P RMVB Video, support the newest 10-Band EQ, support 3G WCDMA Internet, VMCD---Virtual 10 CD Changer, Bluetooth PB-Download and PB-Search, Steering Wheel Control, built-in 6 Games, Calculator, 10 internal wallpapers and can update user's wallpaper, 7 Button Light Colors, external Microphone incl. Show and play iPhone6/7/8/iPad playlists, Car Recorder and DVB-T/ATSC Box input + power supply + Touch control. This unit will fit the following car model: Mercedes Benz A-Class W169 2005 to 2012 Mercedes Benz B-Class W245 2005 to 2012 Mercedes Benz Sprinter Viano Vito 2006 onwards VW Crafter 2006 onwards Note: This unit has front panel size. 244mm(Top width)130mm(High)240mm(Bottom width). Beautiful and fashionable UI Design, support. RAM, support external memory up to 32GB. For your Choice, you can update your photos and setting it as wallpaper. Red/Green/Blue/Yellow/Magenta/Cyan/White - One button for. You can shut off Display but keep Sound in the evening - Built-in Clock and Calendar, Clock/Date/Week/Time Zone adjustable, can use. Internet, you can connect a 3G dongle (WCDMA) to use this function - Built-in. And calculator for your travel use - Support. 10 CD in your USB/SD to play - Support. 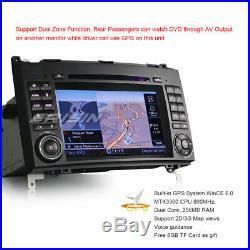 Function, Rear Passengers can watch DVD or TV while driver can use GPS - Support Bluetooth. Function, built-in microphone on front panel and external microphone Jack on the back. Slot, Support USB Stick and SD Card up to 32GB, support. Input, Touch Control and Power supply - Built-in. 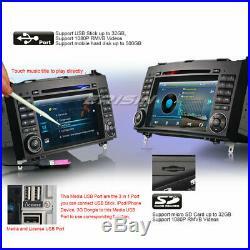 System, just connect a DAB/DAB+ Box via USB Port to use this function. Box input, Touch Control and Power supply - Support. Input and reverse trigger Control - Support. Hand Brake Control - Electronic Anti-Shock, Last Position Memory. 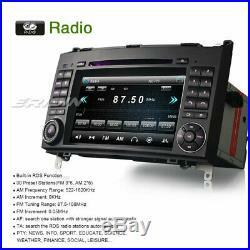 ES7270B 7 All-in-One Car Multimedia Player with GPS 3G Radio BT VMCD DAB-IN DVR-IN DTV-IN.. General - Power Supply: DC 12V (allowance range: 10.8-14.5V) - Max. Current: 10A - Button Light Colors: Red/Green/Blue/Yellow/Magenta/Cyan/White - Front panel Size: 244mm(Top width)130mm(High)240mm(Bottom width) - Package Size: 330mm260mm180mm - Gross Weight: 4.0kg - Net Weight: 3.1kg. Display - Screen Type: 7 inch Touch Screen - Resolution: 800RGB480 - Built-in Clock and Calendar: Yes - Built-in Games: Yes, 6 Games for your choice - Built-in Calculator: Yes - Screensaver: Yes, you can setting screensaver to 15s/30s/60s - Wallpapers: 10, and you can update user's wallpaper from GPS Card - Drag and drop Icons: Yes, the position of icons can be changed at will - Change the backlight: Yes, you can choose day/night backlight and adjust - One Button for Blank Screen: Yes, shut off display but keep sound in the evening - Digital or Analog: Digital Touchscreen, very vivid. EQ Setup: Support the newest 10-Band EQ - Sound: User/Flat/Pop/Rock/Jazz/Class - Video: Yes - Steering Wheel Control : Yes - RDS: Yes - Date & Time: Clock/Date/Week/Time Zone adjustable or GPS Time - Factory Setup: Yes, the code is 8888. Voice Guidance: Yes - Support 2D/3D Map Views: Yes - Dual Zone: Yes, navigating while music playing - 8GB TF Card included: Yes. Divx Title: Unicode/UTF8/ASCII - Last-Position-Memory: Yes, expediently watch all kinds of disc continuously. Bluetooth - Hands Free: Yes - A2DP (Bluetooth Stereo Music): Yes, can play stereo music through Bluetooth - Bluetooth Music Control: Yes, play/pause/previous/next - PB-Download: Yes, can download phonebook from mobile to this unit - PB-Search: Yes, can use the first letter to search contact member in PB-Listings - Calling Records: Yes, Dialed Call, Received Call, Missed Call - Setup: Auto Answer, Auto connect, Pin Code - Built-in Microphone: Yes, on the front panel - External Microphone Jack: Yes, on the back. USB - Position: USB1/USB2 Port On the Back - Capacity: 32GB - Play MP5 Videos: Yes, can play RMVB Videos up to 1080P - Touch Music Title to play directly: Yes. SD - Position: On the front panel - Capacity: 32GB TF Card - Play MP5 Videos: Yes, can play RMVB Videos up to 1080P - Touch Music Title to play directly: Yes. DAB(+)-IN - Built-in DAB+ System: Yes, just connect a DAB+ Box to use this function - Connection Port: USB, just support our DAB+ Box ES358 - Power Supply to DAB+ Box directly: Yes - Touch Control DAB+ Box on unit. 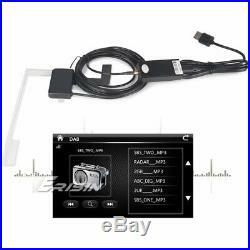 DVR-IN - External Port for Car Recorder Input: Yes - Supply Power to connected car DVR: Yes, you can connect our Car DVR to achieve this function - Touch Control the connected DVR: Yes, you can connect our Car DVR to achieve this function - External Car DVR incl. 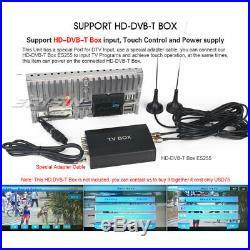 DTV-IN - External Port for Digital TV Box: Yes, Support DVB-T/ATSC/ISDB Box - Power Supply to DTV Box directly: Yes, you can connect our DTV Box to achieve this function - Touch Control the DTV Box on unit: Yes, you can connect our TV Box to achieve this function - DTV Box incl. 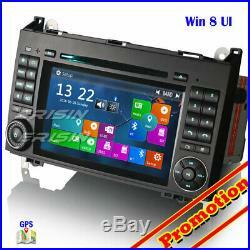 Additional - VMCD: Yes, support virtual 10 CD changer - Games: 6 built-in Games - Calculator: Yes - Calendar: Yes. 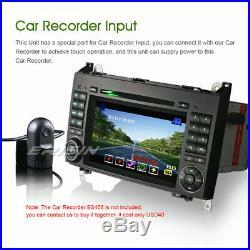 Input - AUX Video In: One - Rear-View Camera Video In: One - External Microphone In: One - AUX Audio In: R/L - DTV Box In: One - DAB Box In: One - Car DVR In: One - Radio Antenna In: One - GPS Antenna In: One. Output - Video Out: Two - Audio Out: R/L - Surround Stereo Out: 450w - Subwoofer Out: One. Accessories - 1User's Manual in English - 1Special to ISO Adapter Cable - 1SWC and other Control Cable - 1External microphone Cable - 1CanBus Extension Cable - 1Radio Antenna Adapter Cable - 1RCA AV Cable - 1USB OTG Cable - 1GPS Antenna - 18GB TF Card. Please pay your item in 5 days after your won. Please verify your address during checkout. We are not responsible for any wrong or undeliverable addresses. Unconditional Return within 30 Days. And UK/DE Address before you send it back. If this unit fault, please. We suggest that ask professional to install products and ask them to. Test it first before installation. However, we are not responsible for installing or uninstalling. 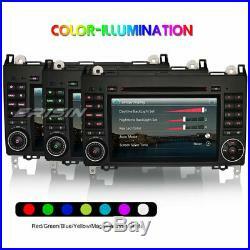 Damage or missing components---Our products are all brand new and double checked before sending out. Please check the package before the courier leaves. (2) Any damages caused by improper packaging when buyers return the item to us. (3) If the item was disassembled or repaired by unauthorized person. We work from 8:30am-18:00pm (Hong Kong Time) except Saturday and festival. Our ERISIN Products has more than 10 years old, adopt the latest technology, provide new Products with good quality, high performance but low price, earn good reputation in the worldwide. It must be your best choice! We have Certified technicians test all the items before sending to you. We promise, by choosing us, you get not only a really cheap∋ce product, but also a 100% satisfied shopping experience! Listing and template services provided by inkFrog. 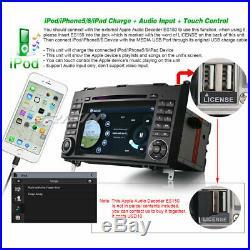 L'item "DAB+Autoradio Bluetooth USB Mercedes A/B Classe W169 Sprinter Viano Vito Crafter" est en vente depuis le lundi 25 mars 2019. Il est dans la catégorie "Auto, moto pièces, accessoires\Auto\ pièces détachées\Autres". Le vendeur est "cargobzaar9" et est localisé à/en 1 Year EU Warranty. Cet article peut être expédié au pays suivant: Europe. 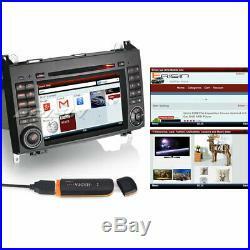 GPS: Ready to use, free 8GB Card & GPS antenna incl.